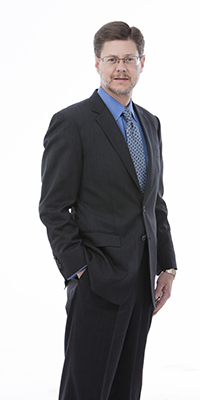 Brian Hicks is President and Chief Executive Officer of Hicks Partners, LLC. Since forming the company in 2003, Hicks has developed and executed strategies to help dozens of clients – large and small – achieve their business development, government affairs and public relations goals. Hicks is also the founder and Managing Director of MidAmerican Global Ventures, LLC, a global business consulting firm that promotes foreign investment in the United States. Prior to becoming a successful business owner, Brian Hicks had a long career as a public affairs official in a variety of key roles in federal and state government and on local, state and national political campaigns. Considered to be among “Ohio’s most powerful unelected officials” (according to the Associated Press, the Cleveland Plain Dealer and Columbus Dispatch), Hicks was involved in virtually every aspect of managing the State of Ohio while serving as Chief of Staff to the Governor of Ohio. Hicks also served as Deputy Secretary of State of Ohio and as Senior Legislative Adviser for a U.S. Member of Congress. Hicks served on The Ohio State University Board of Trustees from 2004-2013 and has served on the Ohio Chamber of Commerce Board of Directors since 2010. Hicks serves as the President of the Ohio Chamber of Commerce Research Foundation and as Chairman of the Board of Trustees for Marburn Academy. Hicks is a graduate of The Ohio State University where he was elected president of the Undergraduate Student Government, representing more than 50,000 students.